Just a small detour on the way from Bikaner to Jaisalmer around Phalodi took us towards a small village called Kheechan. 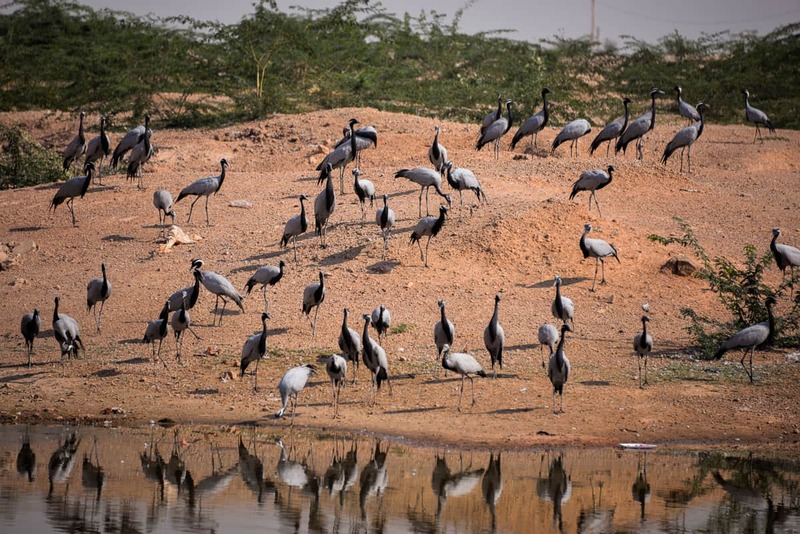 This village has a lake which is transformed into a bird sanctuary when thousands of Demoiselle cranes make it a home migrating from the harsh winter weather of Siberia. You can spot these birds from September until March making loud sounds. It is a spot not to be missed in this season and gives ample photography opportunities. 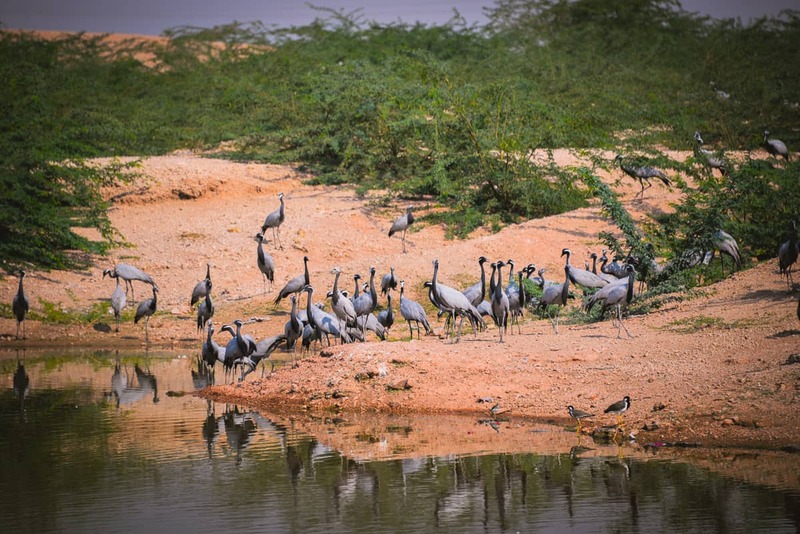 Kheechan is about equidistant from Bikaner, Jodhpur and Jaisalmer so if you are visiting any of these cities, do make a plan to go to Kheechan if you love the sight of birds. It was lovely to capture the sight of cranes, flying and feeding over the lake. 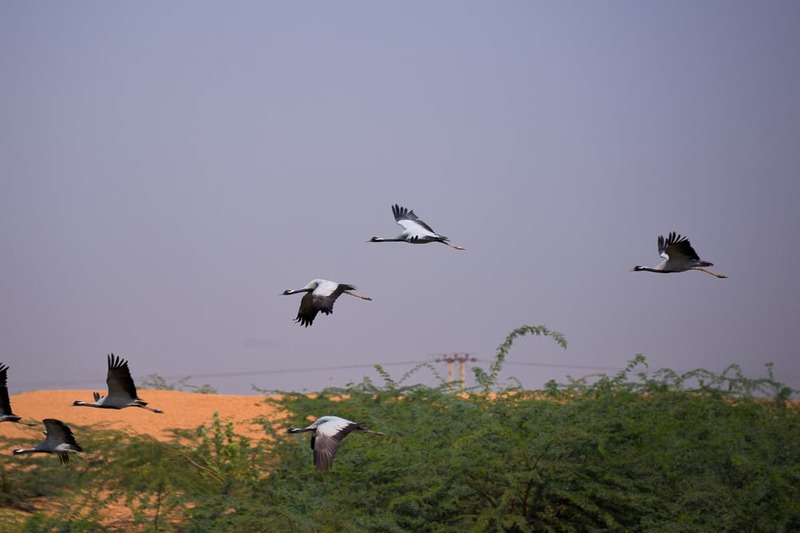 The growing number of these birds can be credited to the bird man of Kheechan. Ratanlal Maloo has fed these birds for more than four decades back before he died, increasing the count of these birds from handful to thousands. His love for these birds also won him prestigious conservation awards. If you wish you can also join the locals to feed the birds. 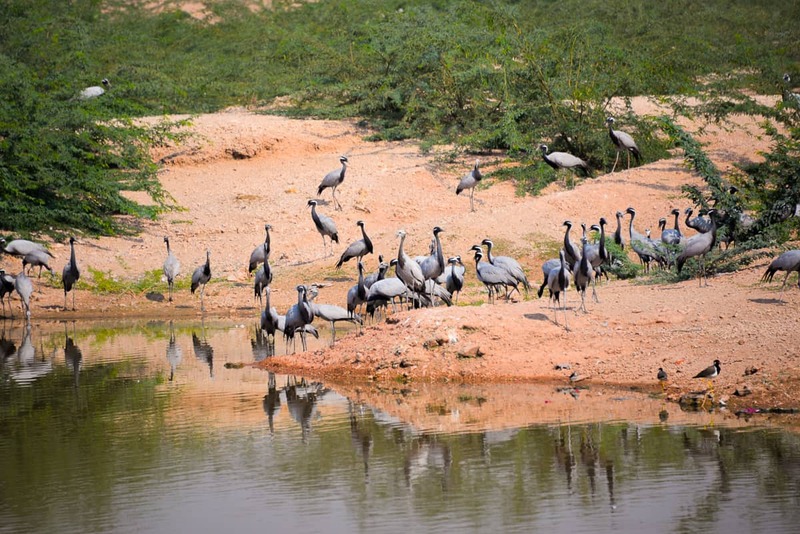 With all these efforts Kheechan has been named in the world heritage site by World Crane Foundation. Definitely worth a visit, don’t miss these spectacular birds in the winter months. While we captured some pictures, enjoyed with local kids and took back to our road journey. Rajasthan is always great to visit. What a beautiful sight. Planning a trip later in the year. Bookmarking all your Rajasthan posts..